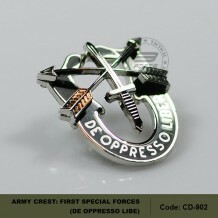 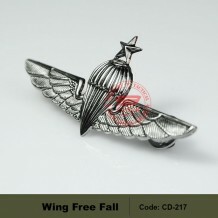 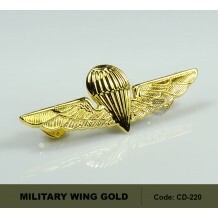 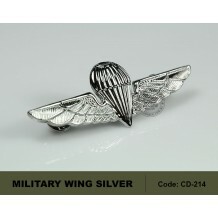 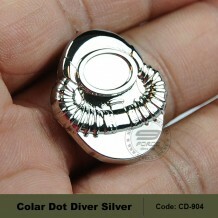 ARMY CREST: FIRST SPECIAL FORCES - DE OPPRESSO LIBE Code: CD901 ..
Name: WING FREE FALL METAL BADGE (CD217) Color: Silver ..
MILITARY WING GOLD, AIRBORNE, HIGH QUALITY (CD220) DOUBLE PIN BEHIND. 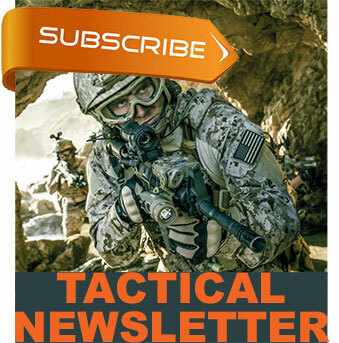 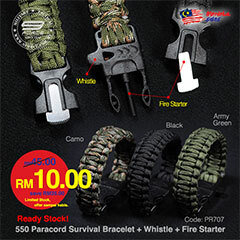 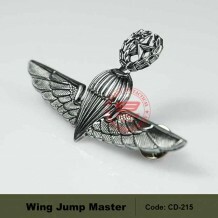 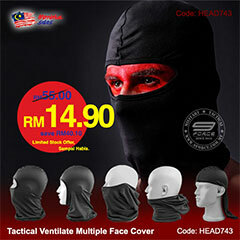 ..
MILITARY WING JUMP MASTER, HIGH QUALITY. 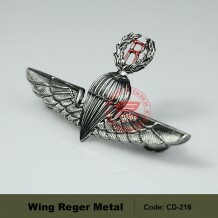 (CD215) ..
MILITARY WING REGER, HIGHT QUALITY. 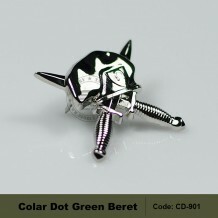 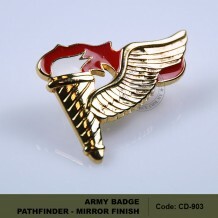 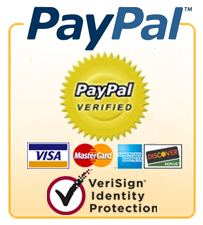 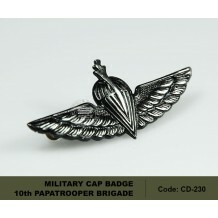 CODE: CD216 ..
MILITARY CAP BADGE 10th PAPATROOPER BRIGADE (CD230) ..